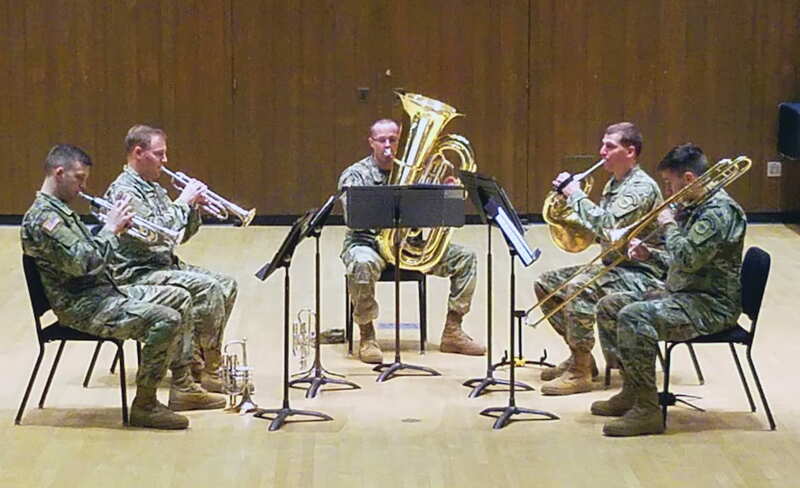 Green Bay, Wis. — The University of Wisconsin-Green Bay’s 6:30 Concert Series continues its season with a BONUS 6:30 Concert Series event “Minutemen Brass Quintet of the Wisconsin Army National Guard’s 132nd Army Band” on Tuesday, Jan. 29, 2019 at 6:30 p.m. in the Weidner Center’s Fort Howard Hall. 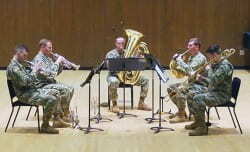 The Minutemen Brass Quintet was formed in 2018 as one of many Musical Performance Teams (MPTs) of the 132nd Army National Guard Band, based out of Madison, Wis., and will present a variety of repertoire for brass quintet. The concert is free and open to the public. Are free and open to the public; donations are gladly accepted.